A seriously versatile, handy item to have in your nappy stash! These boosters are absolutely fantastic- trust us, you'll use these over and over for various reasons! These fold-ups are made from 2 layers of thick and thirsty Bamboo Fleece. 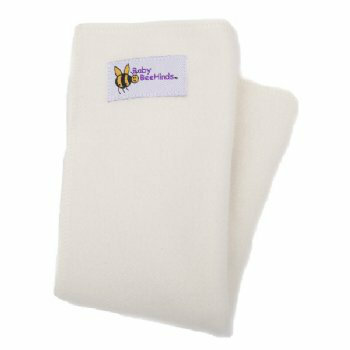 Use at night to make nappies last the distance, use as a booster if needed in a small, medium or large sized Magic-All, or even simply pad fold two of these in half and lay inside a snug fitting nappy cover for a very quick nappy change! Each fold-up measures approximately 30cm x 30cm, after initial shrinkage. Simply fold to fit how baby needs it- you can get up to 8 layers!